Actor and writer, Catherine Tate is well-known in the UK and internationally for a diversity of work in television, film, and on the stage - in particular, for her own creation, the award winning The Catherine Tate Show. 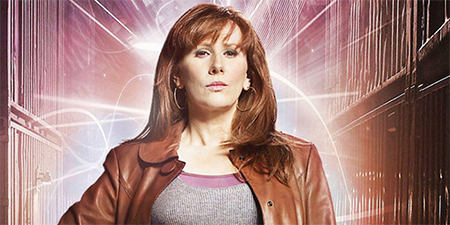 She made her first appearance in Doctor Who as jilted bride, Donna Noble. She then joined the doctor, played by David Tennant, as his companion for the entire run of Season 4 and for the two-part "End of Time" specials. More recently, she reprised the role of Donna Noble in three Doctor Who audio dramas alongside David Tennant as the Tenth Doctor. Tate has appeared on US television screens as Nellie Bertram in The Office, making her entrance at the end of Season 7 and returning for the second half of Season 8 and all of Season 9. In between filming for Seasons 7 and 8 of The Office, Tate returned to the UK to play Beatrice opposite David Tennant's Benedick in Shakespeare's Much Ado About Nothing in London's West End. She has continued to mix theatre, film, and television work and most recently took The Catherine Tate Show on a live tour of the UK, playing to 27 cities over 31 nights.